You have made that all important step to get to your first homeopathic appointment to deal with a health problem, but what about the follow up? Sam Adkins, the Homeopathic Coach, gives you the practitioner’s perspective in this article and explains why sometimes the second appointment is more important than the first. Did you read the title of this article and feel that it had an accusatory tone? Then you wouldn’t be alone because we all miss appointments from time to time. Life can get in the way of our good intentions. But what does this mean for your treatment? In the last article I described how the partnership between the homeopath and patient is an active one. This active relationship continues into the second consultation and throughout the time you are under treatment with your homeopath. So why exactly is the second consult so important? Well firstly, after the first consultation, the homeopath has spent time understanding how you operate in the world and what imbalance may be present that is causing your symptoms to arise. She/he has also used this information, coupled with experience to prescribe a medicine for you. The time between an initial consultation and a subsequent one depends on what you have as your health issue; but it can be from 2-4 weeks. This may seem a long time but the body needs time to respond on many levels to the homeopathic medicines and play the healing process out. When you have had a chronic ailment for months or years, it takes time for the body to put things into balance. So when you return, what does the homeopath want to know? The second appointment is extremely important. You have given your case in the first appointment and been actively involved in your prescription. Now it is your chance to feedback and influence the direction your case will take. It is the nature of this feedback that allows the homeopath to test out their interpretation of your case and whether the medicine they prescribed has had a significant healing effect. Without this appointment your homeopath can only stumble around in the dark! Sometimes a successful medicine has been given but for the improvement to be maintained a second special medicine needs to be given and without this opportunity the patient can relapse. Changes on the emotional/mental levels: This is an indication of a good response if the patient comes back and says ‘My headaches are only a little bit better but I feel really good in myself’. This means the medicine is the correct one and either we need to wait or the medicine needs to be repeated. Changes to the original complaint: Has it ameliorated or got worse? Does it occur less often? What about intensity? Has it gone completely? New Symptoms? Have any new symptoms emerged in the case? Have these ever been experienced before? If so when? 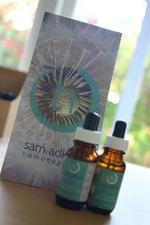 Sometimes in a curative homeopathic healing there is a phenomenon called ‘return of old symptoms’. This is like a clearing process that the body takes as it peels back layers to get to a root cause or point in time. Life Events: Have there been any big life events/changes since the first appointment? These are important as they can throw the healing off course. A slow healing response to a medicine in the face of a huge life event such as death of a loved one, does not necessarily mean the medicine was incorrectly prescribed. So these are essential elements of the second homeopathic consult and allow the homeopath to test out his/her theory of your overall imbalance. This feedback gives the homeopath the resources to modify or repeat the treatment and crucially to maintain treatment momentum which can be lost when appointments are delayed. So when you next make your second consultation with your homeopath, remember that you are part of this active feedback loop and without it, the homeopath cannot assist you in making yourself well again.